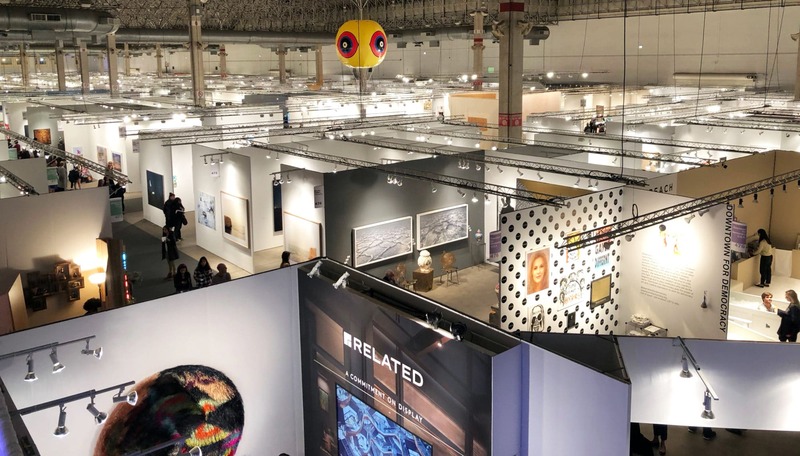 View of EXPO Chicago Art Fair, 2018. Leonard Suryajaya, “Two Bodies”, 2018. At Artadia. 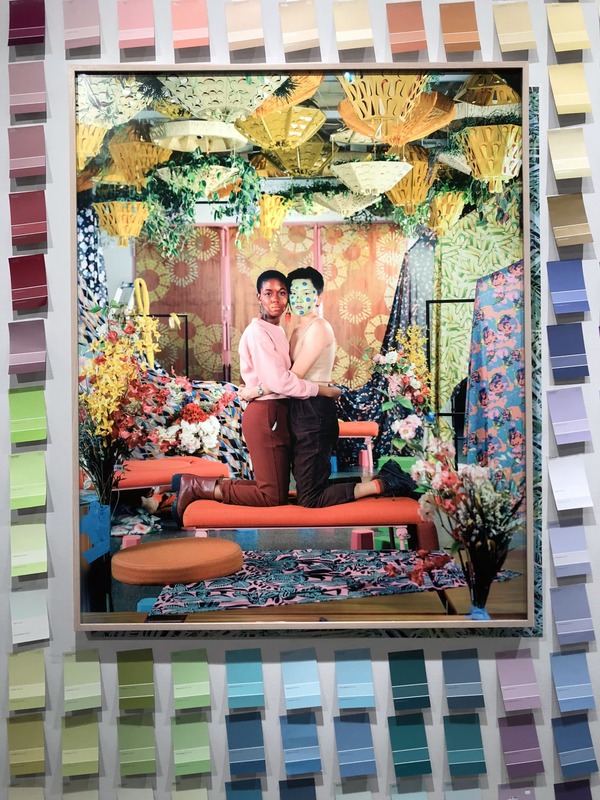 Leonard Suryajaya, winner of Artadia’s 2018 Chicago award, blends photography and interior décor to investigate issues of personal identity, sexuality, and cultural belonging and displacement. His photographic portraiture casts his subjects—often relatives—in performative scenes of the everyday, often amongst vibrantly patterned wallpapers and commercial props with indiscernible cultural origins. The use of kitsch and pattern-obliterated interiors, both in his photographs and related installations, treats décor as a form of distributed critique. Dawoud Bey, “Untitled #25 (Lake Erie and Sky)”, 2017. At Rena Bransten Gallery and Stephen Daiter Gallery. Image courtesy of Rena Bransten Gallery. 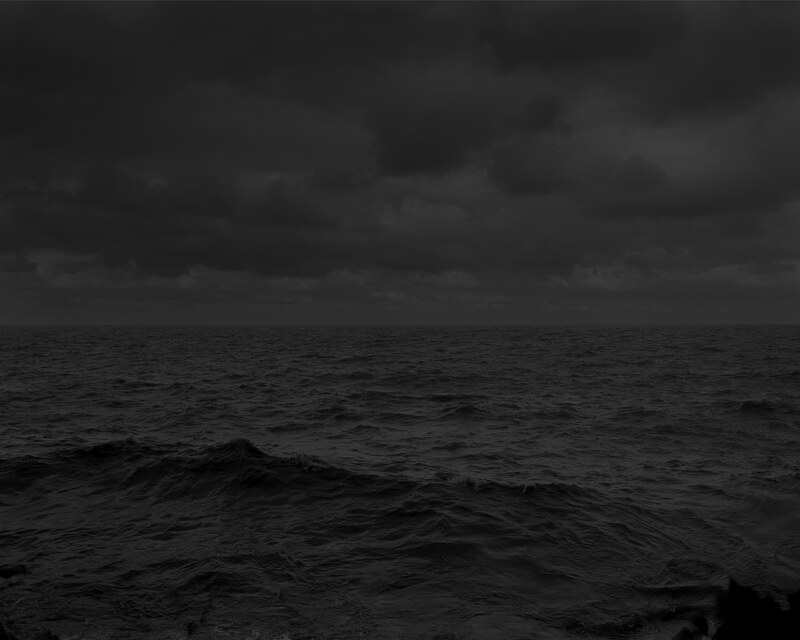 Celebrated American photographer, Dawoud Bey’s series Night Coming Tenderly, Black is a visual reimagining of the movement of fugitive slaves through the Cleveland and Hudson, Ohio landscape as they approached Lake Erie and the final passage to freedom in Canada. The Underground Railroad is shrouded as much in myth as it is in fact. Using both real and imagined sites these landscape photographs seek to recreate the spatial and sensory experiences of those moving furtively through the darkness. Ella Littwitz, “The Unknown Land of The South”, 2017. At Harlan Levey Projects. 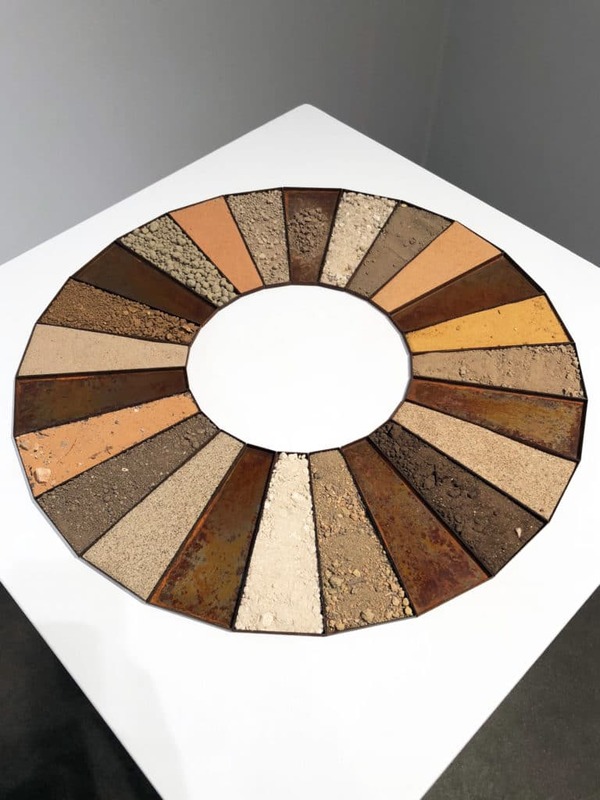 Ella Littwitz’s work deals with scientific, political and mythological issues related to soil, movement and geographical markings. As a consequence of her Israeli nationality, Littwitz is denied entry in 24 countries. To transcend this idea of being unwelcome in large parts of the world, she investigated the idea of a utopian place where artificial borders and political disagreements do not exist. The sculpture is a new piece of land composed of the soil from 17 of the countries that deny Littwitz’s entry; for technical or legal reasons it has been impossible to gather the soil from the other 7 countries. The collaborators who have supplied her with the soil have often had to put themselves at risk to get it out of the country of origin. Littwitz will continue her attempt to acquire the soil from the absent countries and turn her utopian “Unknown Land of the South” into a poetic reality. 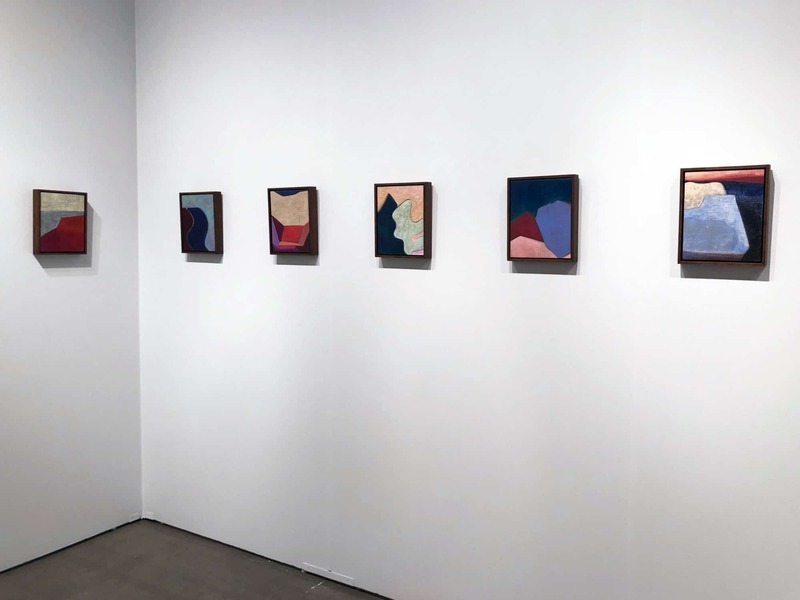 Kristine Moran, Installation View. At Daniel Faria Gallery. Kristine Moran, “Echo Ampitheater”, 2018. At Daniel Faria Gallery. Usually painting in large scale, Moran has turned her brushes and mindset towards escapism and survival with her recent small scale works. Moran and family recently sold their New York home and have spent the last year driving across the United States in an airstream. Moran’s new paintings, which she calls Border Crossings, picture a series of abstracted and distant landscapes, glimpses into the unknown. 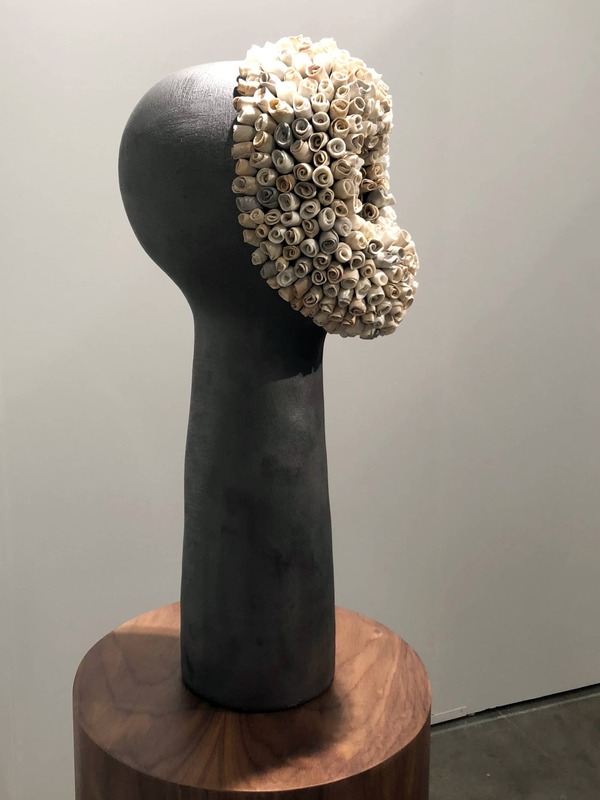 Simone Leigh, “Face Jug Series”, 2018. At Luhring Augustine. 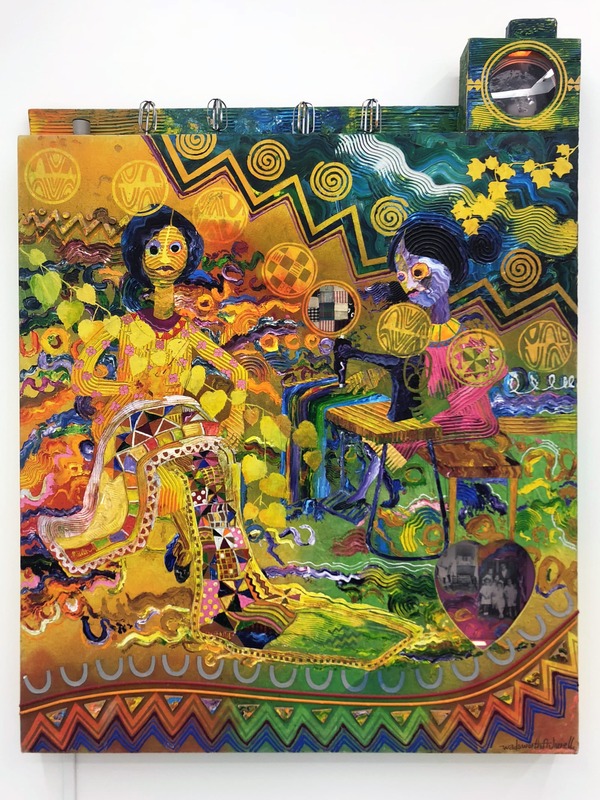 Leigh’s multi- media practice is an exploration of visual traditions from throughout the black diaspora and their intersection with constructions of black female subjectivity, black feminist discourse, and histories of radical resistance. 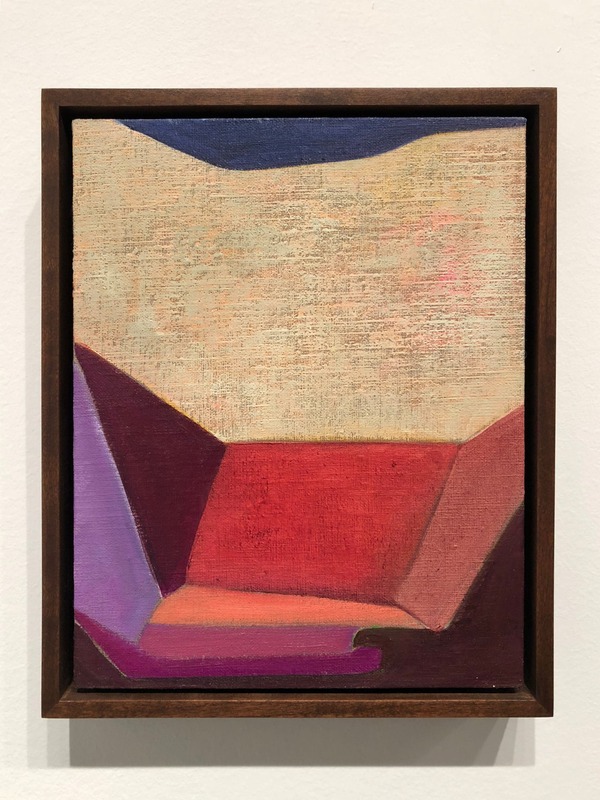 She draws upon disparate, seemingly anachronistic histories of American vernacular art and architecture, and focuses on the human- like features of objects and their relationship to specific functions. She is referencing face jugs that were produced by enslaved African American potters in South Carolina during the civil war. 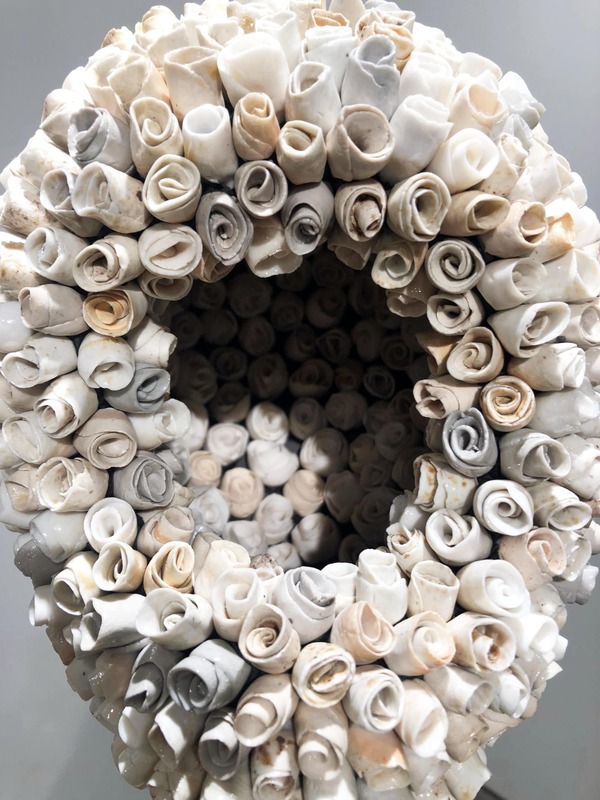 The ceramic sculptures analyze how these objects emblematize and problematize space in regard to the body, fusing and implicating the human form with architecture. Andrea Chung, “Elegantly Destroyed”, 2016. At Klowden Mann Gallery. Image courtesy of Klowden Mann Gallery. Andrea Chung’s practice finds unexpected intersections among materials, processes and places that often investigate the histories of Caribbean island nations. 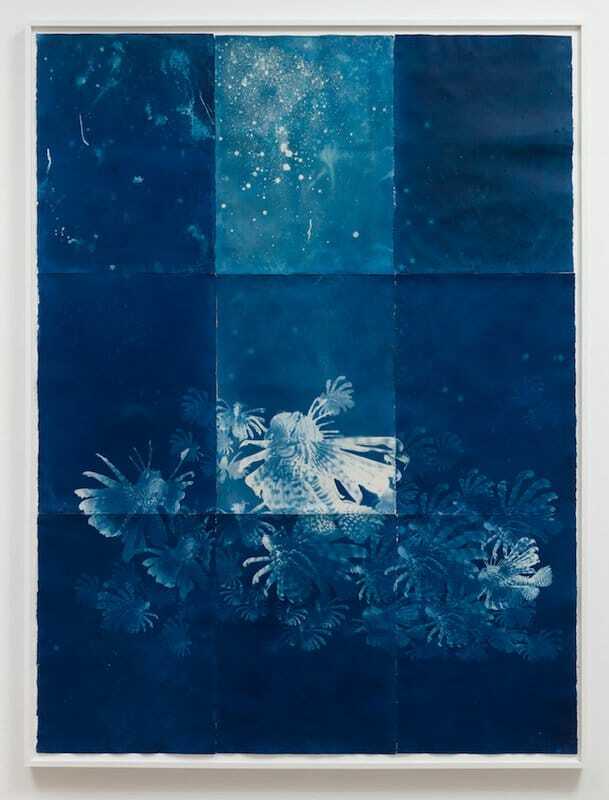 The works are cyanotype prints of the poisonous lion fish, conjuring up a fantastic underwater world that presents a potent allegory of colonization. Although poisonous, lion fish are also capable of changing the underwater eco system to meet their own needs.Being from Jamaican, Chinese and Trinidadian decent, Chung considers herself an outsider. Her global perspective influences her interest in how other outsiders percieve their environments. Nate Lewis, “Hover”, 2018. At Fridman Gallery. Image courtesy of Fridman Gallery. Formerly an ICU nurse, Lewis explores the vulnerability and intimacy of caring for people. His art making practice is a way for him to close the intimacy gap between a caregiver and the patient. Through the work he began to discover the great honor he felt to care for people. He treats the material like an organism, exploring what lesions exist within and without us. 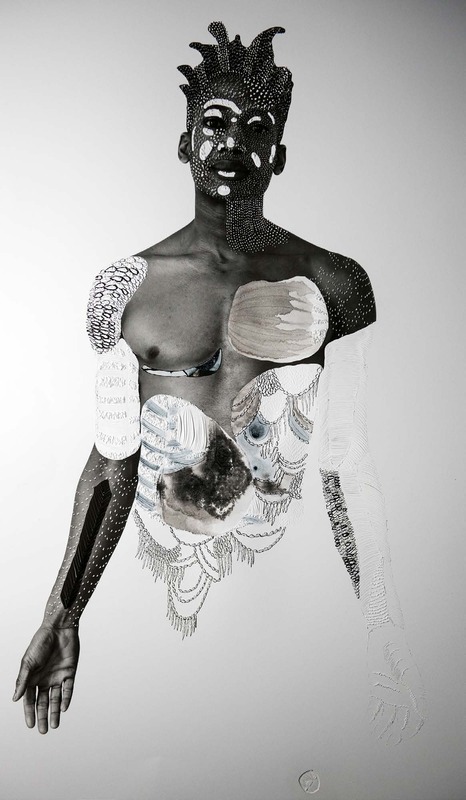 By cutting, folding and drawing in ink upon photographed figures, he evokes empathy in dealing with issues of race and social history. Terry Adkins, “Bona Fide”, 2000. At Lévy Gorvy Gallery. Adkins aim was to make sculpture as etherial as music. Music was always at the core of his work and a major part of his life. His attachment to the emancipatory potential of music, grounded and extended by way of its entrenchment in his memory and embrace of community engagement, served as a reinforcement for his artistic practice. This piece is made of worker’s pants patterns which he found in an abandoned factory outside Philadelphia. Adkins’ work addresses the Great Migration, labor and Jazz as themes. Brendan Fernandes, “As One”, 2017. At DePaul Art Museum. 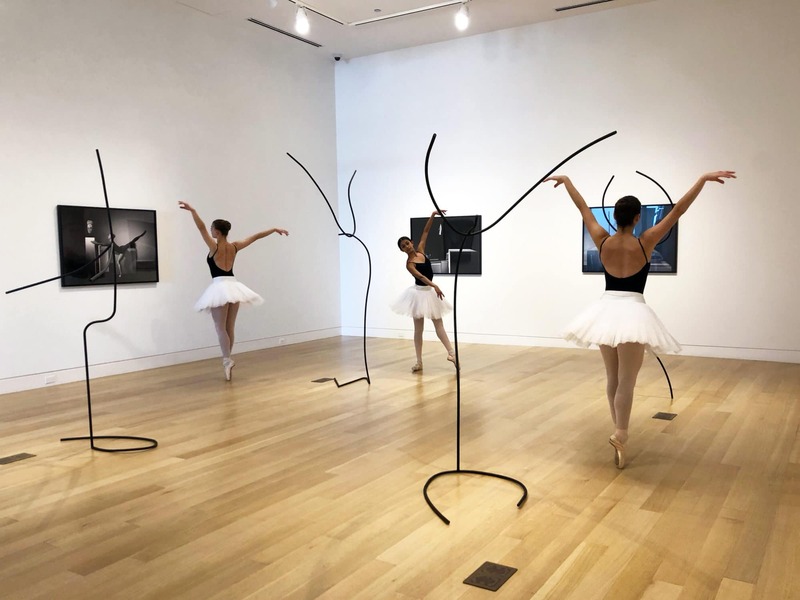 The photographic series As One examines the roles of both ballet and the museum in constructing cultural hierarchies. In a moment when the colonial foundations of the museum as an institution is being called into question, this exhibition examines museum traditions and considers how we can imagine new futures. In the live performance, Brendan Fernandes explores imitation, combining images of African artifacts with the limbs of ballet dancers. 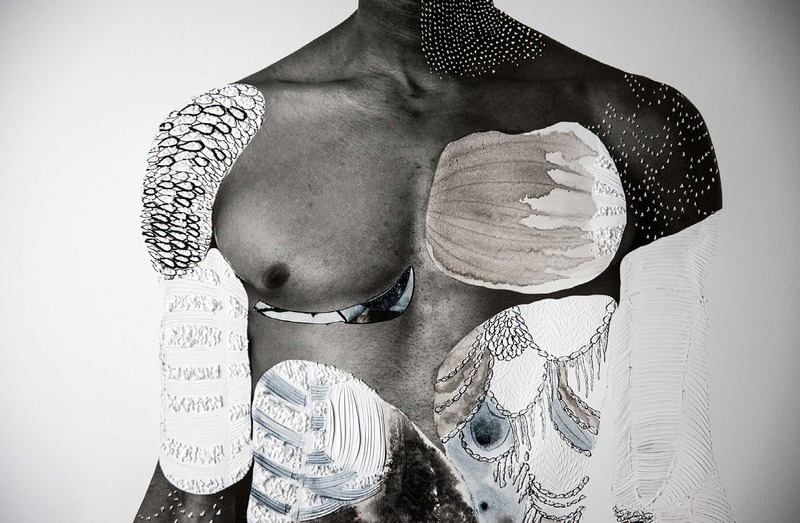 He addresses his identities as a classically trained ballet dancer and Kenyan immigrant, positing that identities may be transitory or adaptable. 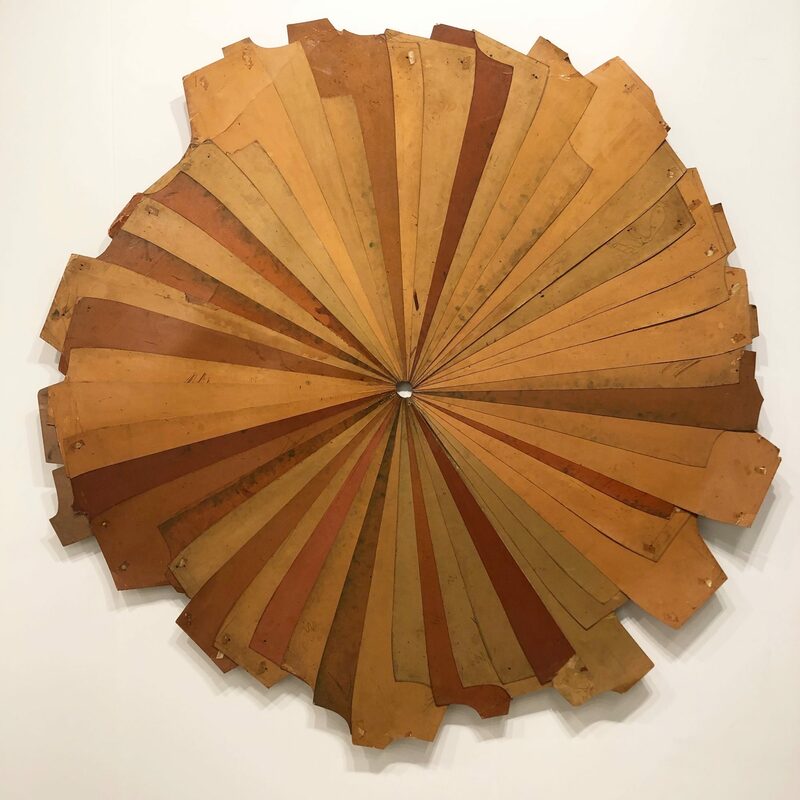 Firelei Baez, “Undefeated Unscarred and Victorious”(installation view), 2018. Image courtesy of Kavi Gupta Gallery. 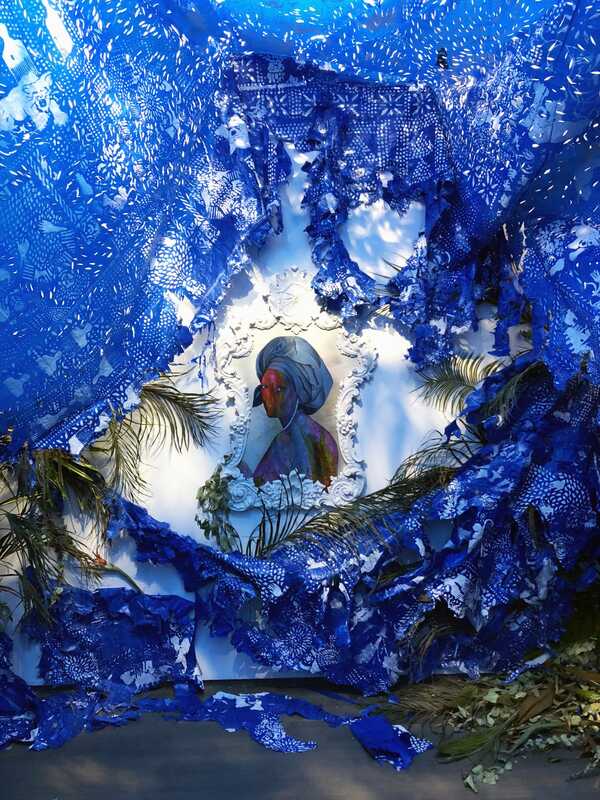 Born in Santiago de los Caballeros, a city on the border between the Dominican Republic and Haiti, Báez incorporated the contrast between the poverty of Haiti and the abundance of the Dominican Republic in her work. She is interested in how culture and identity are shaped by inherited histories and the divisions humans create between each other. Báez thinks about what identity means and how it separates some people and unifies others. Her work explores these themes in context with the narratives of the past and the many potential futures she perceives. 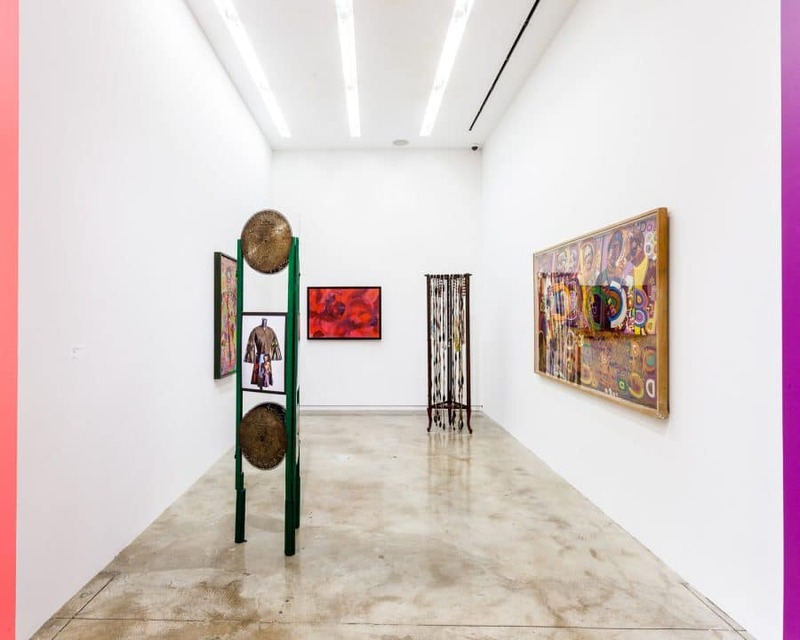 Installation view of “AFRICOBRA 50”, 2018. At Kavi Gupta Gallery. Wadsworth Jarrell, “Exhalt: For Mama”, 1996. At Kavi Gupta Gallery. The year 2018 marks the 50th anniversary of the founding of AFRICOBRA (African Commune of Bad Relevant Artists)— the black artist collective that defined the visual aesthetic of the Black Arts Movement of the 1960s and 70s. Founded in 1968, the five founding artists included in the exhibition sought to gain an understanding of modern, transnational black aesthetics, so they could develop an artistic style that could be immediately identified as “Black Art.” The work is critical to our understanding of the contemporary aesthetic of the African diaspora and the examination of how transnational black aesthetics relate to culture, politics, and identity.